The iron girder bridge built by Gustave EIFFEL in Bayonne was dismantled in May 2013. Exactly one hundred and fifty years after it was completed,.Chinese artist FAN Zhe bought 200 tonnes of the iron girders to serve as a ferment for new artistic creations. 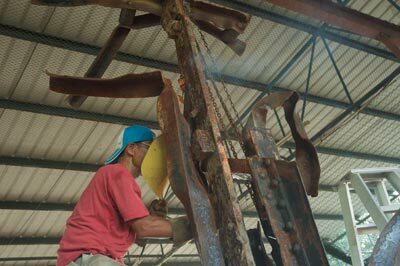 In cooperation with curator Alin AVILA for France, they invited French and Chinese artists to create sculptures for the project P'art SinoFrançais in Shunde, in the outskirts of Guangzhou, China. 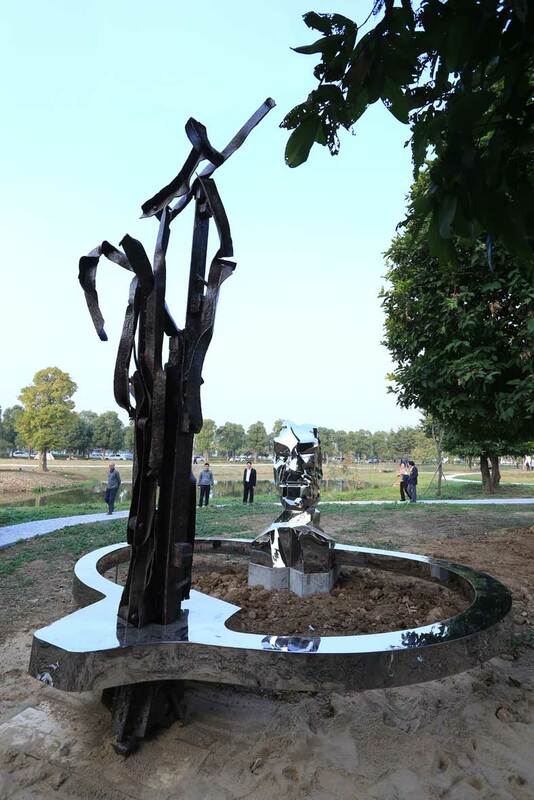 The park, lent by CHEN Tian Pei, a real estate developer, was inaugurated on November 20th, 2014. 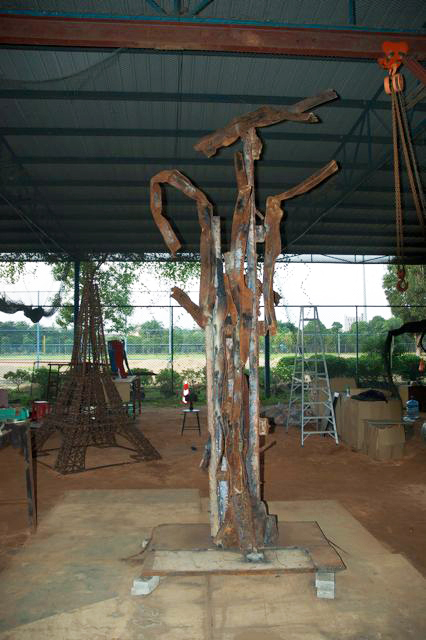 The starting point of Hans BOUMAN's sculpture, The gift, is a bronze, cast in Cameroon a few years ago. A man, epitomised by his head, holds out a bunch of girders from the former bridge of Bayonne as a gift to the local population. It is a bridge between East and West. The contrast between the 150-year-old rusted iron beams and the contemporary head in stainless steel reflects technological progress and weaves a bond between past and present. The Gift, around 4 x 4 x 4 meters. 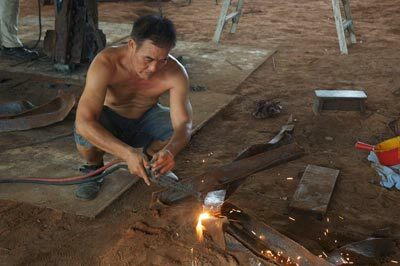 Ressembling the iron beams in Shunde factory.